Relics & Artifacts® Ambassador Rochelle Gaukel has a "sweet" workshop for those located in Chilliwack, BC! 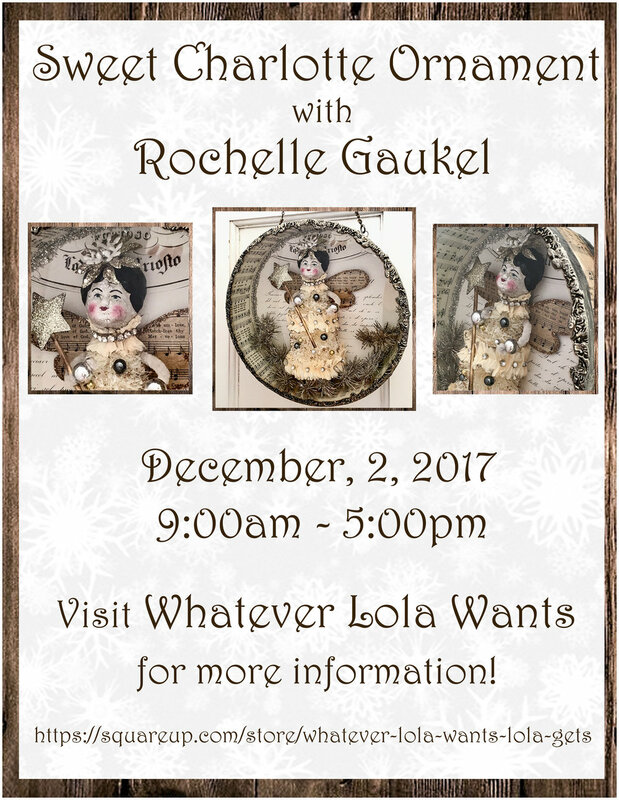 Learn to make the fabulous "Sweet Charlotte" ornament using some of Rochelle's signature techniques in a unique and fun face-to-face workshop. Visit Whatever Lola Wants for more details! Register quickly as Rochelle's workshops always fill up fast! Note: This is not a Relics & Artifacts® workshop but we absolutely love to support our Ambassadors in all of their teaching and showcasing endeavors. Stay tuned for more class opportunities from Rochelle featuring Relics & Artifacts®! No matter where I am teaching, I am always amazed by the creativity of my students and what their finished projects look like – many times with my jaw hitting the floor! Part of being an artist is to be inspired by others, and with each group of students I’m always left with a new perspective in regards to composition or color combinations. Many times in life, there are important milestones that change the path that we are traveling. Hi everyone! This summer has been a whirlwind of creativity. Goodness! Can you believe there are just two weeks remaining until my "Sacred Grace" workshop in northern California? RELICS & ARTIFACTS® Ambassador John Creighton Petersen has two fabulous art workshops this weekend!